Treat your skin to a high-tech facial with Thalgo’s latest I-BEAUTY device, which combines three innovative technologies with proven efficacy. Thalgo I BEAUTY’s sound vibrations technology deeply cleanses and exfoliates the skin. To relieve dehydrated and tired skin, Sève Bleue from the ocean is pushed deep into the skin using I BEAUTY’s sequential ultrasound technology. To restore plumpness and firmness, Hyaluronic acid is infused with I BEAUTY’s tripolar radio-frequency technology. This express 30-min treatment is the perfect solution for all women seeking a deep re-balancing cleanse. The new generation of aesthetic peel! Low frequency ultrasound vibrates its spatula to achieve in-depth exfoliation, which effectively cleanses and purifies the skin. Healthier and brighter, the skin is cleansed of impurities and enhanced. *Add on to any Thalgo anti-aging facial for a lifting effect. 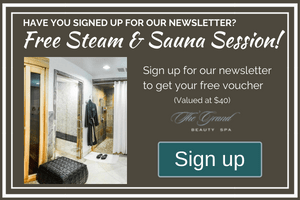 ...Please enjoy our elegant and beautifully appointed spa facility including infra red sauna, steam room, and relaxation areas as part of your experience. Get Immediate Anti-Aging Eye Care Results! Ask your Grand Beauty Spa aesthetician to help you select the peel that is right for your skin. Just got a massage, wash and blow dry for my sister’s 40th birthday here in Tampa! This place rocks! The ideal partner for thirsty, tired and dull skin, this treatment boosts natural moisture while drenching the skin in remineralising and rehydrating active ingredients. The skin is fresh, bright and intensely hydrated, from the very first session. This treatment uses Sequential Ultrasound, an original concentration of technologies for optimum correction. The evolving vibration waves generated by I BEAUTY® enable infusion of the active ingredients of the products for improved absorption, or stimulation for boosted cell regeneration. Hydration Corrector deeply oxygenates and remineralises the skin. Inspired by the anti-ageing techniques of aesthetic medicine, this treatment is a concentration of efficacy to fight against the signs of time. The latest anti-ageing technology directly derived from aesthetic medicine. 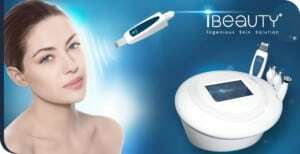 Its high frequency microcurrent induces tissue heating, to regenerate, plump and firm the skin. Its tripolar probe provides heat control for perfect safety. Your skin is “lifted” and your face is firmed and reshaped, from the first session. This supreme Beauty Ritual provides ultimate revitalization and total youthfulness. The Thalgo Prodige des Oceans Face Ritual delivers the revitalizing benefits of Intelligence Regenerative Marine, a complete concentrate of 63 marine active ingredients (an exclusive Thalgo patent). At the heart of the ritual, the Prodige des Océans Mask offers pure plumping oxygenation, and its iconic massage, inspired by Ko Bi Do, an ancestral Japanese manual facelift technique, visibly smoothes wrinkles and restores firmness and elasticity to the skin. You face will glow with renewed youth. Salon and retail discounts, unlimited water therapies...Get more Spaaah for your money! This exceptional Thalgo Beauty Ritual offers ultimate regeneration for overall youthfulness and deep relaxation. The revitalizing benefits of Intelligence Marine Régénérative, a complete concentrate of 63 marine active ingredients – exclusive Thalgo patent – combine with a face massage inspired by Ko Bi Do, an ancient Japanese manual facelift technique, to visibly smooth wrinkles and restore firmness and elasticity to the skin. The body massage combines maneuvers that relieve tension for complete relaxation. A moment of pure pleasure that extends from head to toe to feel deeply revitalized and soothed. The ultimate anti-aging facial to combat all signs of aging and hormonal deficiencies. 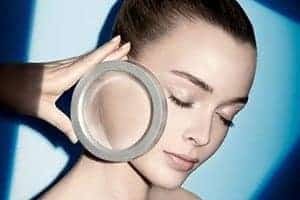 This manual “face-lift” with Thalgo’s revolutionary massage technique, Energilift targets and tightens individual facial muscles and to visibly lift the entire face without resorting to surgery*. With a welcome massage and anti-aging cleansing ritual, you will be immersed in an aquatic cocoon of relaxation. Ultimate Time Solution Serum , a concentrate of powerful active ingredients is applied to the skin with our expert Energilift manual face lifting massage technique. The unique The Ultimate Time Solution Mask is applied, and a hand and arm massage is carried out while it acts on the skin. The powerful actives are also encapsulated in the eye serum, giving you the same exceptional results on the delicate eye area, which is the first to show the signs of aging. Featuring innovative patented new ingredients Neo Skin and Marine Msolift, this facial treats all types of skin irregularities such as pigmentation, acne scarring, blemishes and uneven skin stone. A thorough double cleanse prepares the skin for the professional peel (available in three grades and determined according to skin type/concern). Three acids are incorporated in the peel (Salicylic, Malic and Ascorbic) to regenerate, renew and resurface the skin leaving it looking noticeably clearer. A digit pressure point massage, using Marine Mesolift serum, and a skin leaving it looking noticeably clearer. A digit pressure point massage, using Marine Mesolift serum, and a skin boosting detoxification massage, using Pro-Detox with pure active oxygen, is carried out and is followed by the application of a serum-mask to resurface, exfoliate and smooth the skin. The resulting complexion is clearer and brighter, with a visible reduction in surface irregularities, tighter pores and a refined skin texture.